The UK could become a cashless society in the next 15 years, but nearly half of Britain – or 25 million people – would struggle without access to cash, according to a new report. The Access to Cash review was commissioned in July 2018 to look into the rapid decline of the use of cash, amid concerns raised by Which? over whether people were being left behind. The report explores whether Britain is ready to go cashless – looking at trends in payments, consumer needs and behaviour and experiments in other countries – and has found without a doubt that we are not. In fact, the report concludes we are at risk of ‘sleepwalking’ into a cashless society which could cause ‘significant harm’ for millions not yet ready and still unsupported by digital innovations. Which? 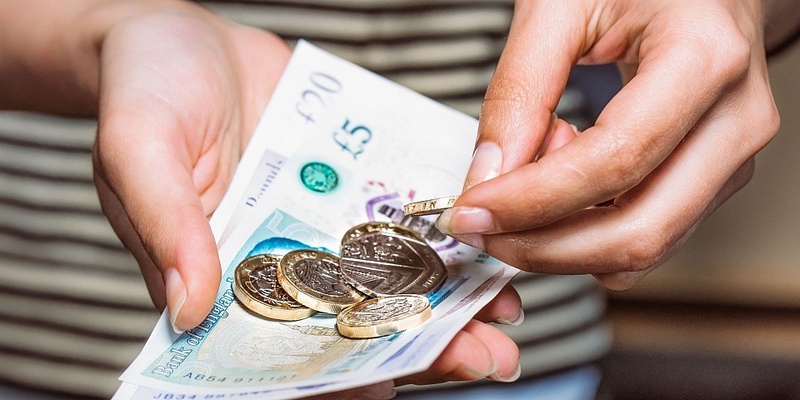 is campaigning to ensure everyone who needs cash can still use it, calling on the government to give either the Bank of England or a financial regulator the duty to protect access to cash. Here we explain the key findings and what’s next for protecting vital access to cash for millions of people in the UK. How close is the UK to becoming cashless? The shift toward digital payments has seen the use of cash in the UK dramatically decline. Six out of every 10 transactions (63%) were made with cash a decade ago. But today we use cash for just three in 10 transactions (34%), the review found. Over the same period, cash withdrawals from ATMs are 8% lower. Which? research shows this largely correlates with the disappearance of ATMs – so while people are undoubtedly turning away from cash, many also have fewer cash machines in their local area. UK Finance estimates if things were to carry on at the same pace we could start to see a sharp drop in cash by 2026. In 15 years’ time, the report estimates cash transactions will account for just 10% of all transactions. Despite the trends, the report found that 47% of Brits – more than 25 million people – would find living without cash problematic. Indeed, 17% believe it would be impossible. While many can’t envision a time when they can go completely cashless, the report identified around 7.6 million people for whom it would be catastrophic. Right now 2.2 million people use cash for all their day-to-day payments. This group tends to have low incomes – 15% of people with an income under £10,000 a year rely completely on cash. There are also 1.3 million UK adults that don’t have a bank account, according to the Financial Conduct Authority (FCA), so they currently have limited options other than using cash. Meanwhile, around 4.1 million UK adults are in financial difficulty, according to the FCA, which makes it harder to get access to credit and means digital payments aren’t always an option. The report found that many consumers value having cash on hand. In a survey of 2,000 people, it found 97% carry an average of £41 on them. Meanwhile, 85% said they keep cash in their home, typically amounting to £84. The report found that largely we’re using cash for small transactions like gifts and donations, as well as to pay tradespeople, rather than for larger payments like bills or holiday bookings. Risk to rural communities: Limited access to broadband and the declining ATM and bank branch network will affect these areas, which tend to have older and more vulnerable communities. Of the 5.3 million adults that don’t use the internet, 3.7 million live in rural areas. Despite technological progress, there are still substantial black spots in the UK where digital payments simply aren’t possible. Risk to personal independence: Many older people and those with disabilities manage their affairs in cash. Digital payments mean handing over control to someone else. Risk of increased debt: Many people use cash as a way of managing their household budgets and avoiding debt. Some find managing cash online difficult, even with paper statements, because the numbers seem abstract. The tangibility of cash makes it easier for some people to keep track. Risk of financial abuse: There is a risk that vulnerable consumers could lose control of their finances or be taken advantage of by partners, carers or family members. There’s also a greater risk of scams for those that are less familiar with the digital world. Risk to community and connection: The move to a cashless society could reduce the opportunity for interaction, which is important for mental health and making human contact. Risk of poorest paying the most: It’s well known that people tend to pay more if they can only pay cash. They tend not to shop around online or are able to easily get credit. As more and more business stop accepting cash this part of society is at risk of being excluded. Risk of catastrophic IT failure: Without cash as a backup, a significant IT system failure – like we have seen several times this year – could leave us without any means of accessing money. Which? has done a large amount of research into the rapid decline of access to cash, both through the shrinking ATM network and rapid pace of bank branch closures. In January we identified more than 200 communities with few ATMs or none at all, which could be hardest hit by proposals from LINK that could reduce the network further. Exclusive research published in June also identified 1,500 ATMs disappeared from the UK in just five months. Our analysis found that cash machines were being shut at a rate of around 300 a month between November 2017 and April 2018. Which? believes the shrinking network of ATMs is reducing access to cash in communities that still rely on it and the problem is exacerbated by disappearing bank branches. We’ve been tracking bank branch closures since 2015 and found at least 2,961 branches have been shut down in the past four years, at a rate of 60 a month. Worryingly, alternative solutions touted by banks to the declining branch network like the Post Office fall short of fulfilling our banking needs. Jenni Allen, Which? Money expert said: ‘The stark findings in this report back up our own research, which has shown that bank branch and ATM closures could be contributing to a risk that millions of people are cut off from access to cash – with the most vulnerable members of society hit hardest. ‘It is vital that everyone has the option to use cash for as long as they need to – and continuing the unplanned drift towards a cashless society is not an option if we are to protect almost half the population for whom cash is a necessity. If you’d like to help protect our cashpoints, you can sign up to our campaign. Find out more: Bank branch closures: is your local bank closing? The review looked at countries heading towards a cashless society and found many encountered problems with the pace of change. Sweden has the lowest use of cash in the world at just 15% – a level the UK could reach within the next 10 to 15 years. However, this would still leave over 4bn cash transactions a year by 2032 in the UK, so even a new cashless society will need cash infrastructure. But in Sweden, around 900 of 1,600 Swedish bank branches no longer distribute cash or accept cash deposits. The country also has around one million people who aren’t comfortable using computers. There is now a national commission established to explore the people excluded by the shift. 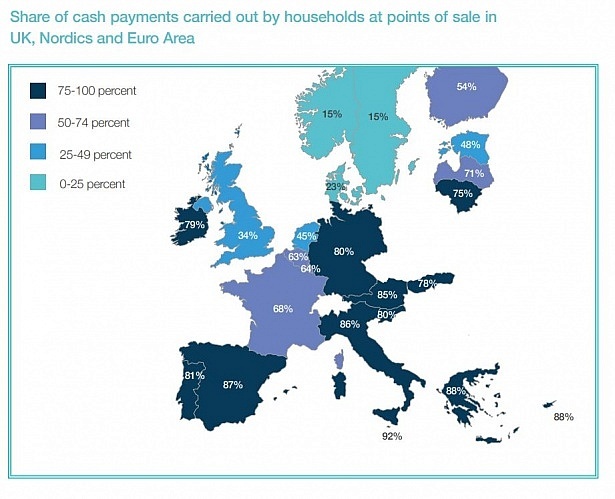 In Demark, only 23% of payments are made in cash. However, unlike many other countries, shops in Denmark have to accept cash. What’s next for our access to cash? The results of an unplanned rush into a cashless society include a loss of independence, exploitation and abuse of the vulnerable, as well as the ‘poverty premium’ getting worse, the report warns. Can the Post Office plug the bank branch gap?